Travel First Class at shuttle rates! Don't burden yourself waiting for a bus load of people to load/unload or making vacation consuming stops at the many resorts between the San Jose airport and your resort in Cabo (30-40 minute trip). With our private transportation option you will be greeted personally just outside the terminal by our friendly and professional driver. For easy identification, he will be holding a sign with you name on it! Cold drinks and a safe, direct ride to your resort await you. You deserve the best, but only at our great prices. Rates are per vehicle, not per person. Your transportation request will be scheduled and confirmed and the cost of the service as indicated will be charged to your credit card as entered above. This reservation will be non-refundable for cancellations received less than 72 hours prior to your arrival in Cabo. Return transportation to the airport is non-refundable if cancellation is less than 24 hours from departure. Waiver of Liability: Destination Vacations is acting herein solely as a booking agent for transportation services and therefore cannot accept liability for any personal injury or property loss suffered by any guest while being transported by the transportation service. 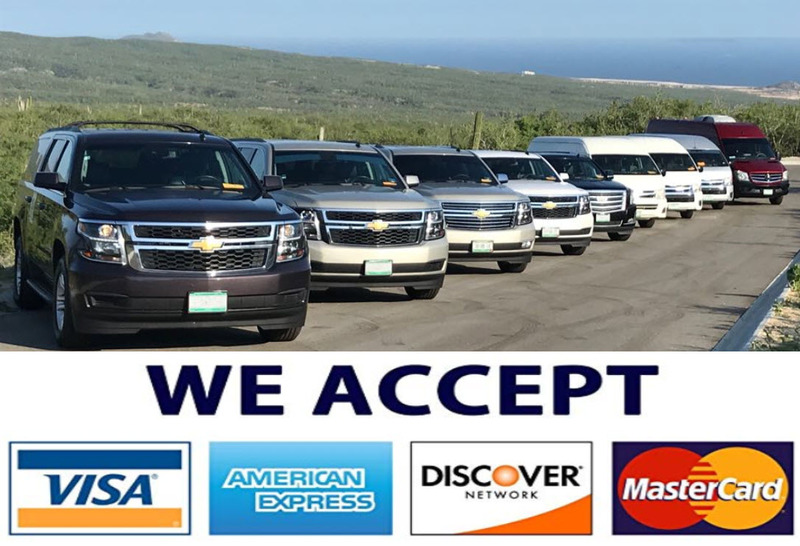 By accepting this service, Guest agrees to release Destination Vacations from any and all responsibility or liability arising out of transportation services provided.